A peek at the 'drome, and another sexism rant about pants and stuff : Bikes. Rants. Adventures. 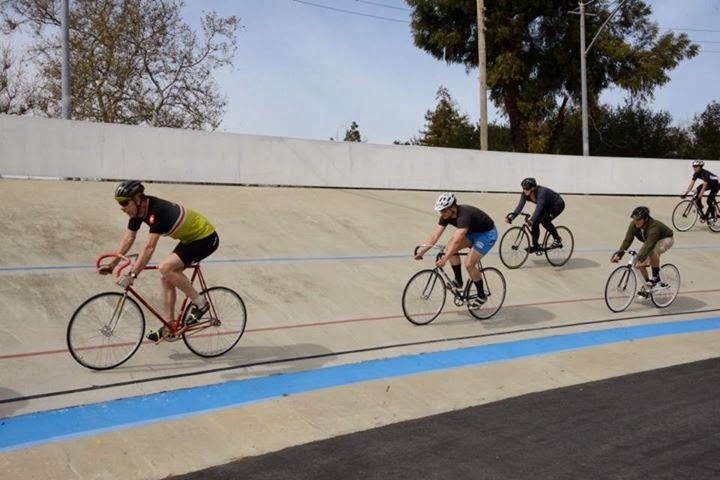 I haven't seen all of the velodrome photos that were taken, but here's at least a preview of what I hope is a good batch. If you're near the Bay Area, go. I was psyched to hear that H&M had teamed up with Brick Lane Bikes to launch a new clothing line - not that I am particularly fond of H&M, but I'm rather fond of Brick Lane Bikes and was curious to see what sort of clothing they'd be offering. I should also add that Levi's, for 2013, revamped some of their commuter collection, adding absolutely nothing for women. I'd like to give Brick Lane the benefit of the doubt and assume that they had no say in whether or not they got to help design for just men, but probably I'm just in denial. Bikeyface actually touched on this recently, though more regarding a different phenomenon that women sometimes get ignored in bike shops. I really haven't had this problem, but if I'm in a shop it means that I need a part ASAP and I know exactly what I'm there for, or I've royally screwed something up that requires me borrowing a tool that I don't yet have...which these days is down to a thread tap. Anyway.